US Wellness Meats (USWM) was one of the first businesses to sell grass-fed beef and other sustainably-raised meats online. 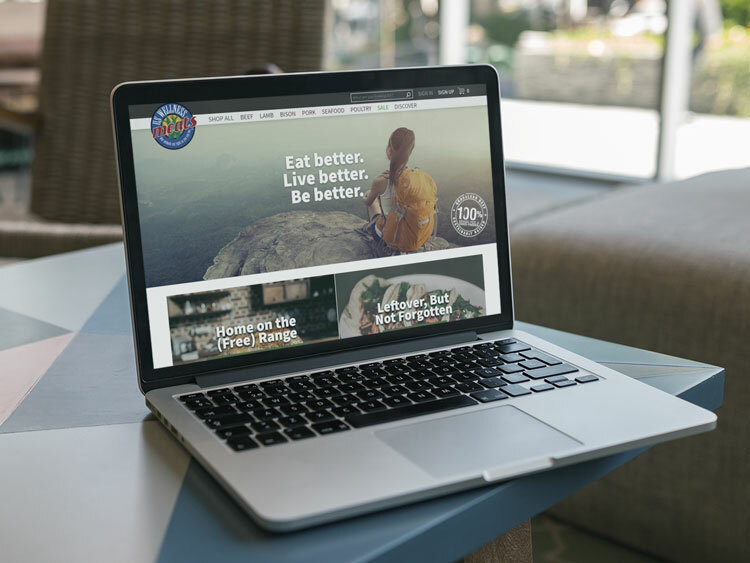 Since 2000, they’ve expanded their online shop to offer hundreds of all-natural health food products, and are one of the most reputable brands in the industry today. Due to the size and dynamic nature of their website – both in terms of a constantly evolving product offering and highly active blog – USWM was sitting on a lot of opportunities from an SEO perspective, but there were also a lot of technical issues holding them back. I was first brought on to consult while they were getting ready to launch a completely new website. For a site this size, and with so much history, there was a lot that needed be done to preserve existing rankings and traffic – and to set the stage for future growth. URL Redirects: one of the biggest priorities from an SEO perspective when launching a new website is taking a thorough audit of existing web pages, and making sure that important, traffic-driving pages don’t get lost. A detailed account of all existing web pages (as well as their rankings and traffic) was taken and were mapped to either the same or updated URLs on the new site. Redirect Chains: because the website had gone through so many iterations over the years, there were a LOT of long redirect chains (i.e. one page redirects to another, which redirects to another, etc.). Cleaning this up led to improved indexation, site speed, and overall user experience. Duplicate Content: this can come in many different forms, but some of the most common causes in the ecommerce world come from URL parameters (particularly from sorting and filtering options), and Pagination (i.e. multiple pages in a series – in our case, page 1, 2, 3, etc. of a product category). Cleaning this up improved the relevancy and authority of the main category pages that we actually wanted to rank. For me, this is considered “the fun stuff”. It involves identifying the highest ROI search terms, on a page-by-page basis, that their website could rank for. Because USWM was such an established brand, I knew we’d be able to compete for some big, competitive search terms. Of course, it was also important to identify the key modifiers their most targeted prospective customers use to find these types of products online (e.g. “grass-fed”, “all-natural”, “paleo-friendly”, etc.). Due to the size of their site, and how incredibly important good keyword research is to future successes, this process went on for many months, tackling 10 – 20 pages at a time. Title Tags: several broad (sitewide) updates were made to the Title Tags to improve their structure in terms of keyword priority, branding, and length/character count. Once those were made, custom Title Tags were written, page-by-page, for all product categories. Meta Descriptions: similar story here… several sitewide updates were made to eliminate duplicate meta descriptions, include relevant information about each individual page and keep them within the recommended character count. Then, custom meta descriptions were written on a category page level. Page Content: it’s very common for ecommerce sites to have little to no unique content on product category pages – instead, there’s often just a list of products that fit under the category. For USWM, we took the time to write unique “intro” text to pre-sell the product category, and give search engines a better idea of what each page was about (and in turn, what search terms to rank us for). Image ALT Text: referring to HTML text that appears “behind” an image, adding descriptive, keyword-rich ALT text to both header images and product images was another effective way of telling search engines what each page was about. Internal Links: I mentioned previously that USWM had a very active blog, with hundreds of useful, relevant posts written by both the staff, as well as many other industry leaders. This opened up a lot of opportunities to link relevant keywords from previous blog posts to product categories and individual products. Over the first 10 months of our campaign, both total traffic and organic traffic DOUBLED. Over the next 10 months, total traffic increased another 19% and organic traffic increased a whopping 83%. This was a particularly large feat given how established the brand already was, and how much traffic they were already receiving prior to us starting. Of the 93 primary keywords we track each month, we improved positions for nearly ALL of them, and we’re cemented on page 1 for 37 of them. Our organic search and site traffic has dramatically improved since Zack put his hands on our SEO steering wheel. His dedication and passionate work ethic, with 110% integrity, have been a home run combination for US Wellness Meats.